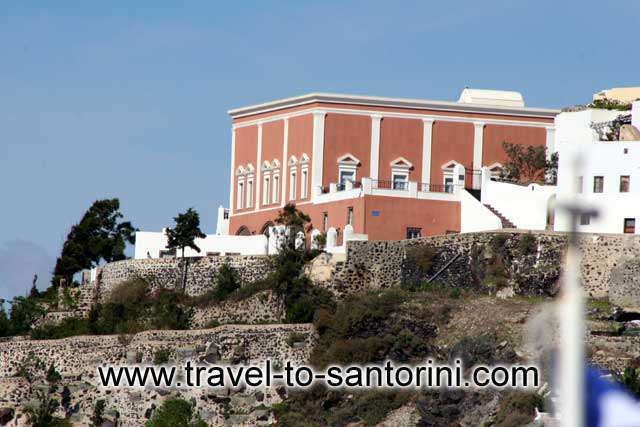 The Petros M. Nomikos Conference Centre is located in the capital of Santorini, Fira, overlooking the caldera and the volcano. This neoclassical mansion with its characteristic red colouring has been transformed into a modern, operational Conference Centre, while preserving its traditional character with its cellars, terraces, pots filled with flowers and parterres. It includes a main conference hall of 178,40 m2 for maximum 200 participants, with particularly good acoustics and air-conditioning, a consultation room for private meetings with the capacity to sit approximately 20 people, room for workshops, registration area, secretarial and technical support facility, areas set aside for coffee breaks, receptions and social events, as well as all the most modern audio-visual equipment meeting the highest requirements. A dedicated group of staff and colleagues await conference participants, their constant concern is the complete success of the Conference and also the maintenance of an atmosphere essential for the making of acquaintances, for friendly relations, and for exchanges and cooperation in a happy, pleasant environment. The Petros M. Nomikos Conference Centre goal is to offer smooth, efficient services, a warm and hospitable environment, to meet the new needs and requirements of conferences, and to conduct them to the highest specifications and high level participation from all over the world. 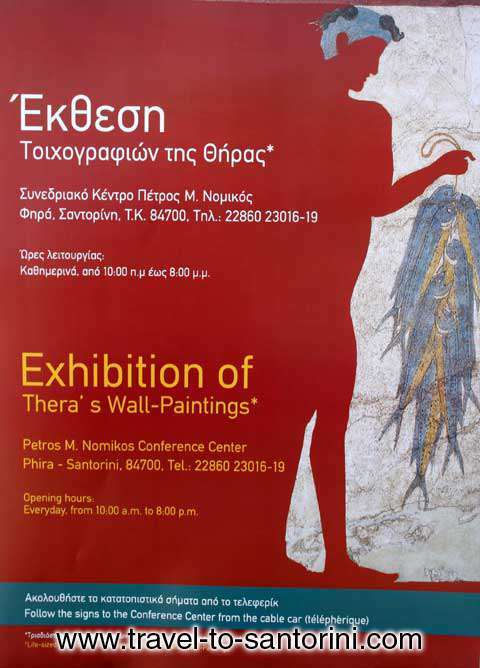 Here is also hosted Thera's Wall Paintings exhibition. Opening hours: Everyday from 10.00 am to 8.00 pm.